I'm excited to announce the opening reception for Neighbors Project installation at the First Street Green Art Park in Manhattan. If you're in NYC on May 12, please come by the park located at the corner of Houston and 2nd Ave in the Lower East Side (across from the Whole Foods and 2nd Ave F Train station). There will be some live painting and a get together. An after part will take place at the Turn Gallery located on 1 St adjacent to the park. 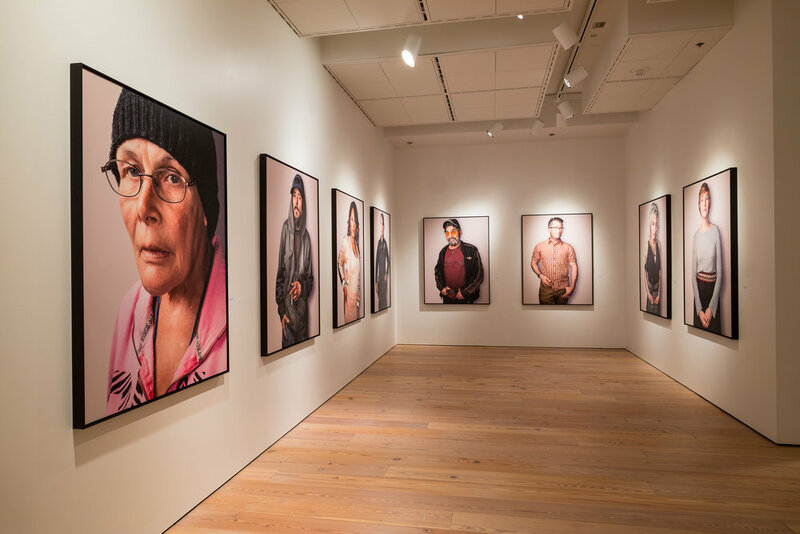 The exhibition is located along Houston Street and consists of 86 portraits of Americans from all 50 states. Please come by if you're in the area! If you're in San Diego this Thursday February 8, please join me at MOPA in Balboa Park as I join with four other photographers as we talk about our work. I'll be sharing photos and telling stories about my Neighbors Project. Please come out. I'd love to see you there! 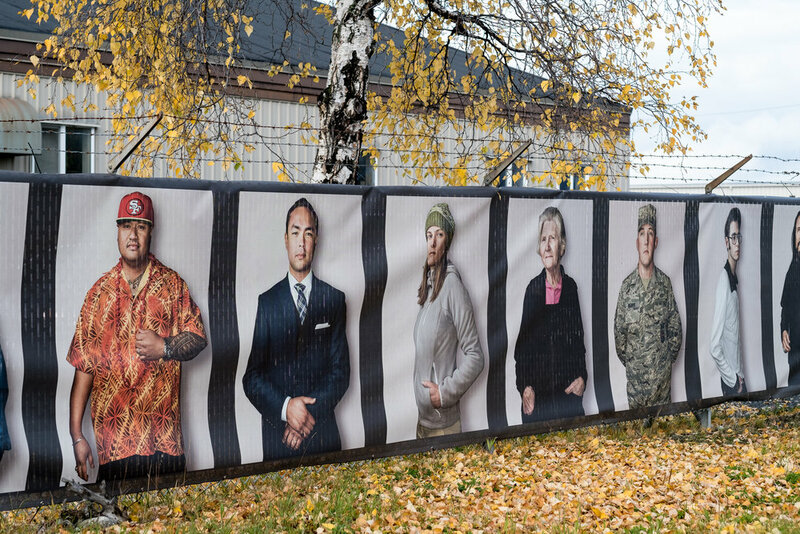 Just over two years ago, I first installed my portraits on a fence in San Diego. Back then, I displayed the faces of people who lived and worked in the Neighborhood. Today, I returned to the original scene to install portraits from all across the country - from San Francisco to New Jersey and various points in between. To view the work, head to the corner of Imperial and Hensley in Logan Heights, 92102. Every once in awhile I'm called upon to do client work. For years, I made my living off of assignments so I'm no stranger to the work – even though these days, I don't seek them out nor receive them with much regularity. Still, I have a few long time clients for whom I still enjoy working. Just as winter began to grip New York in an icy clench of death, my favorite client snatched me from the wintery maw and transported me to the land of sun and warmth: Kona, Hawaii. While there, I took the opportunity to photograph more of my Neighbors portraits. Usually I'll nab one or two people at a time, but at the Pine Trees beach, I found myself presented with an entire platoon of subjects all at once. Instead of my usual subject against a seamless backdrop, I opted for an environmental shot. I won't use this in my Neighbors series, but I do enjoy it nonetheless. 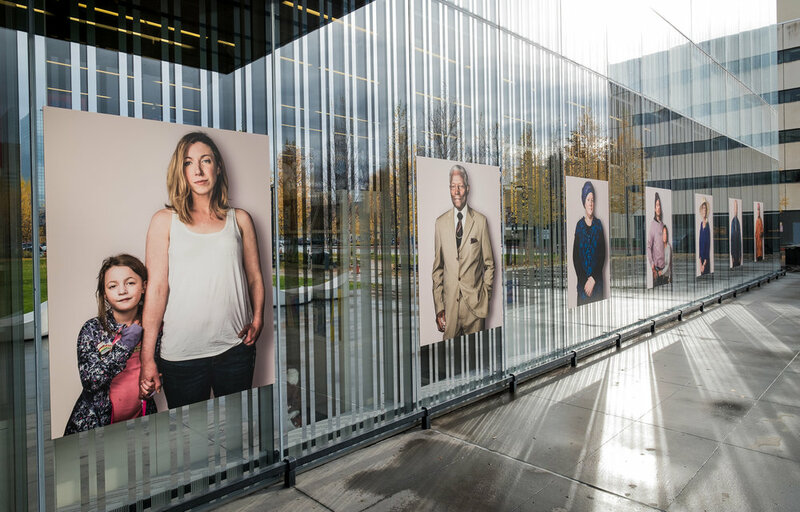 The work from my visit to Anchorage in May of this year is now installed and ready for the opening of the new wing of the museum to take place on the 15th. 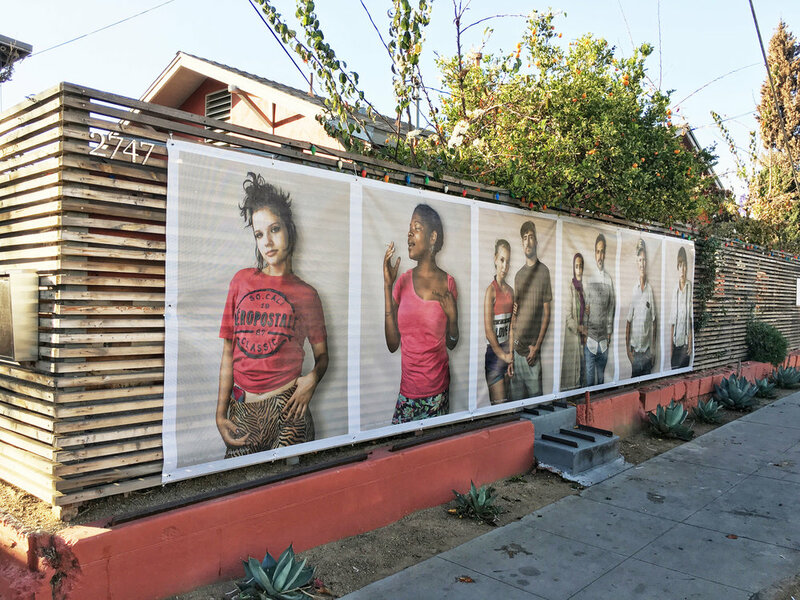 In keeping with the spirit of the original Neighbors exhibition in San Diego, they also placed the photos outside on the facade of the museum so that everyone can experience them. If you happen to be in the neighborhood, be sure to stop by. Here's the link to the museum website..
Today I arrived at the beautiful Anchorage Museum. Both happy and honored to be producing my Neighbors project in the city. The show will go up in the fall. Over the next couple of weeks I'll be setting up shop in the various neighborhoods to create my portraits. I've got a new Instagram feed going now to chronicle my visits to the galleries and museums of New York. If you're interested in the art that's happening in NYC, it's worth the follow!